ORAL PATHOLOGY : What are mandibular tori? Notice large, bony growths on the inner potions of your lower jaw near the back? Afraid it could be cancer or an abscess? You are likely not the only one. 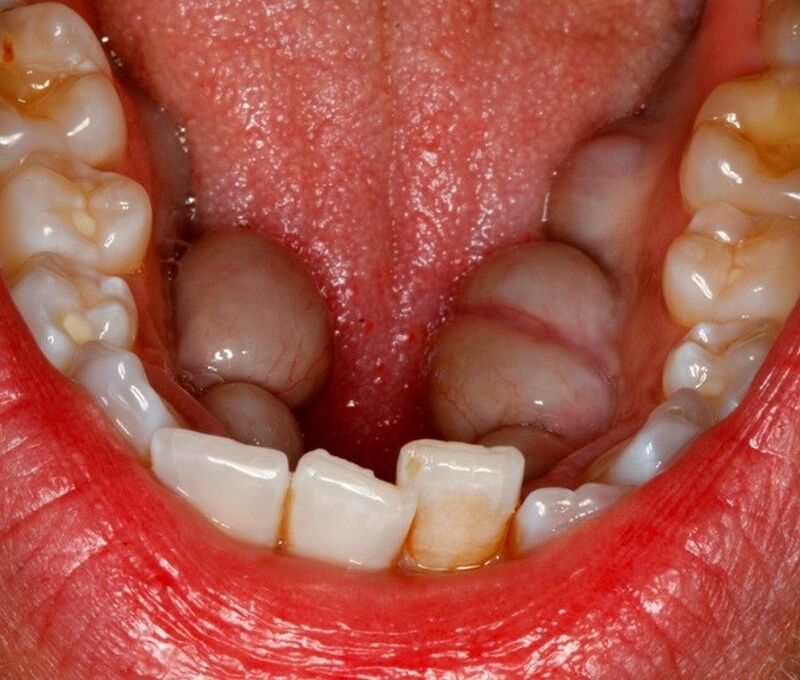 Many patients with mandibular tori mistake it for cancer when they first discover it. But the abnormality is not as rare as oral cancer, and is not as dangerous as it looks. What is Mandibular Tori? : Approximately 7% to 10% of the U.S. population has this noticeable boney growth along the surface of the mandible nearest the tongue called Mandibular Tori (Torus Mandibularis). The condition often presents close to the premolars, just above where the mylohyoid muscle attaches to the mandible. It always occurs on the inner side of the patient’s lower jaw. Conversely a torus that appears on the midline of the palate is called a Torus Palatinus. In rarer causes torus can also appear on the cheek (buccal) side of both upper and lower jaws.